Shameful exploitative advertising or shrewd corporate schemes. Branded marketing or a nauseating advertising campaign. Whatever they are labeling this, I for one, quite like the new design Camel came up for Camel Lights Cigarette packs! I think its pretty cool! I hear that the new designs that have hit the local stores have sparked a small controversy. 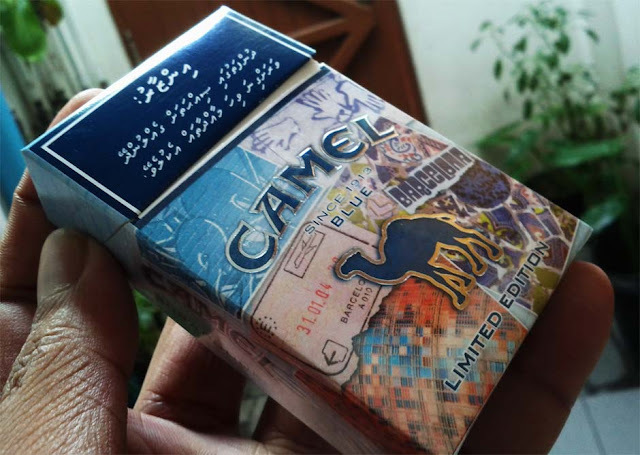 Haters going to hate, but I kind of like the limited-edition pack Camel Blue they are rolling out. I think the design is visually appealing and quite hip. I like it! I'm not promoting smoking. I am not saying its in any way a healthy choice. All I'm saying is I like what Camel have done with the box. Anyone know why they rolled out this Limited Edition? Any special occasion we don't know about? Got a picture of the other side?